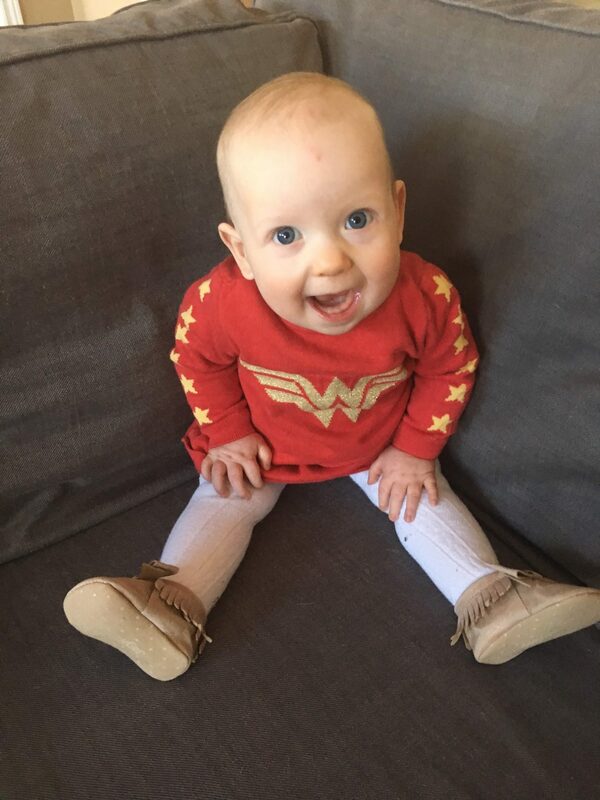 Evangeline (lovingly known as “Evie”) is about to celebrate her first birthday, and she is proving that you’re never too young to make a difference. 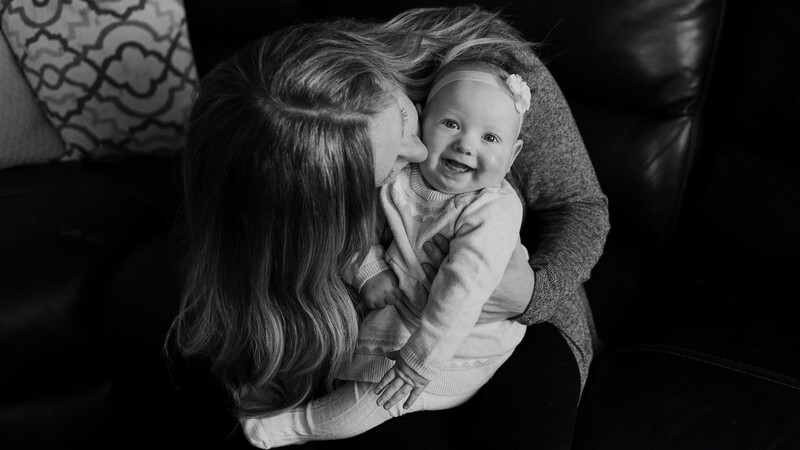 She was born with Pierre Robin Sequence – a condition that can block airways, make feeding very difficult and means the baby is born with a cleft palate and smaller lower jaw. But Evie and her family did not waver in the face of these challenges, meeting any obstacle they faced with love and positivity. 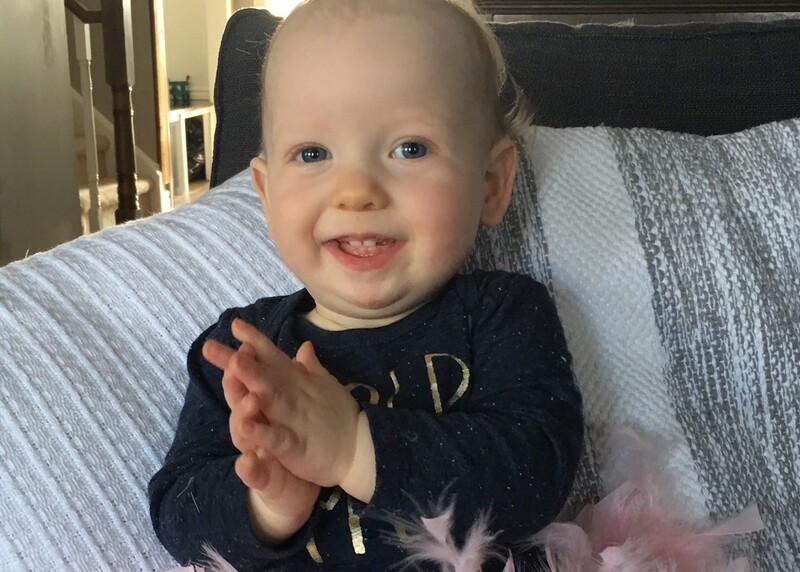 With the support of her wonderful family and a stellar team at Toronto’s SickKids Hospital, Evie is doing great – she’s getting stronger and charming everyone with a smile that lights up a room! 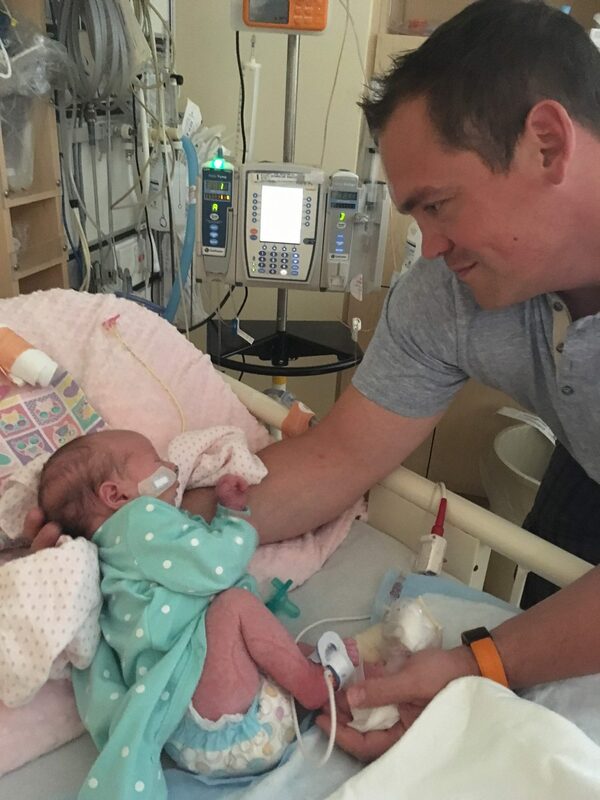 So the Riley Family decided to celebrate her first birthday a little differently – by making a difference for others. Evie’s family has been advocating for their daughter since the day she was born, but now they’re also advocating for children born with cleft lip and palate around the world through their online fundraising campaign. Recognizing that many children do not have access to the same care and support Evie did, they are rallying together with their loved ones to raise life-changing funds in support of Transforming Faces’ work with children and families across the globe. And what a difference they’ve made already. They started with a big goal of raising $1,000 for TF’s international cleft care programs. So far, they have more than doubled their goal – as of today they have raised over $2,400! 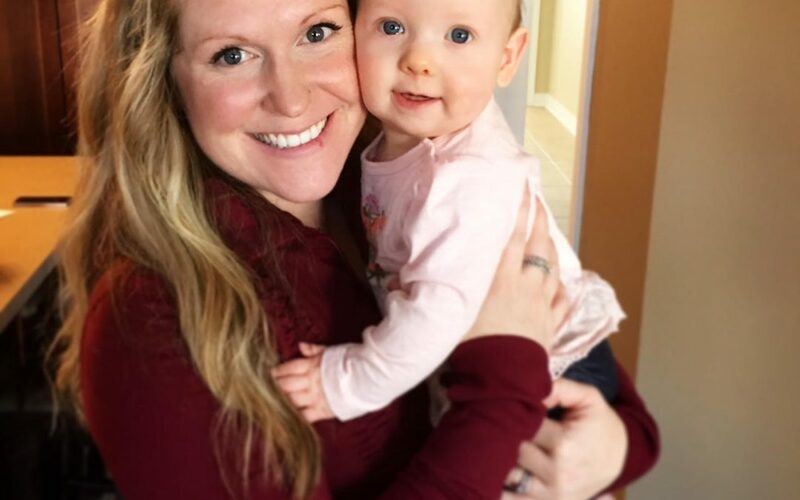 Read on to learn more about Evie’s journey through the eyes of her mom and champion, Leigh. 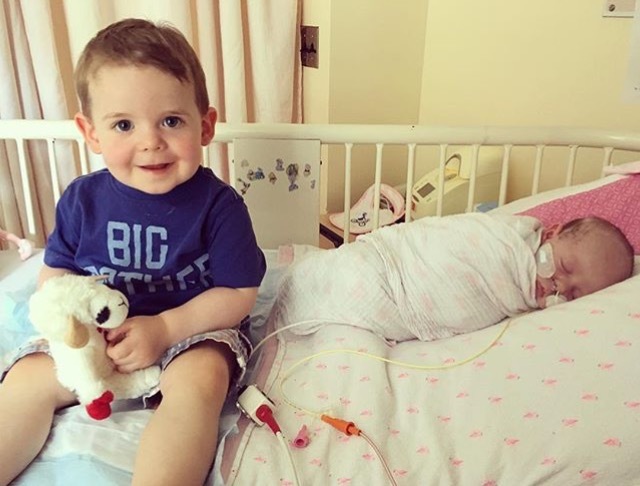 And if you’d like to be part of Evie’s campaign to change the story for children just like her around the world, we encourage you to check out the Riley Family’s online fundraising page! Our sweet Evangeline is turning one! I almost can’t believe it, as it feels like yesterday when I saw her face for the first time. It was that moment that my excitement and joy turned to fear and confusion. Tears of happiness that should have flowed were replaced by tears of sadness. Something was wrong. Evangeline was purple, and struggling to breathe. We noticed right away that her chin and jaw were small and sunken in, a trait I never remembered seeing when our son Harrison was born. When the nurse suctioned her airway, we learned she had a cleft palate. Hours later, she was taken by ambulance to SickKids Hospital in Toronto, where she was formally diagnosed with having Pierre Robin Sequence. I had no idea what the doctors were talking about, and I didn’t want to listen. I wanted to be home with a healthy baby, doing normal mom things, like feeding around the clock and changing endless diapers. Only here we were, Jesse and I, in the NICU at SickKids, staring at our brand new baby girl with tubes in both nostrils, a heart and oxygen monitor on one foot and an IV stuck in the other. I didn’t even know if I was allowed to hold her. How would I hold her with all of the tubes? How do I feed her? Why can’t she breathe? I had so many questions, and such a heavy heart. We learned that Pierre Robin Sequence is a congenital condition causing certain abnormalities. The three main features are cleft palate, a small recessed jaw and an airway obstruction caused by a backwards placement of the tongue. Because of these features, infants often have difficulties eating and breathing, requiring assistance in doing so. Evangeline was eventually moved to a different unit in the hospital where she received excellent care, and where I finally started to feel like her mom. I would cry when I had to leave her at night, and practically run over to the hospital first thing in the morning. 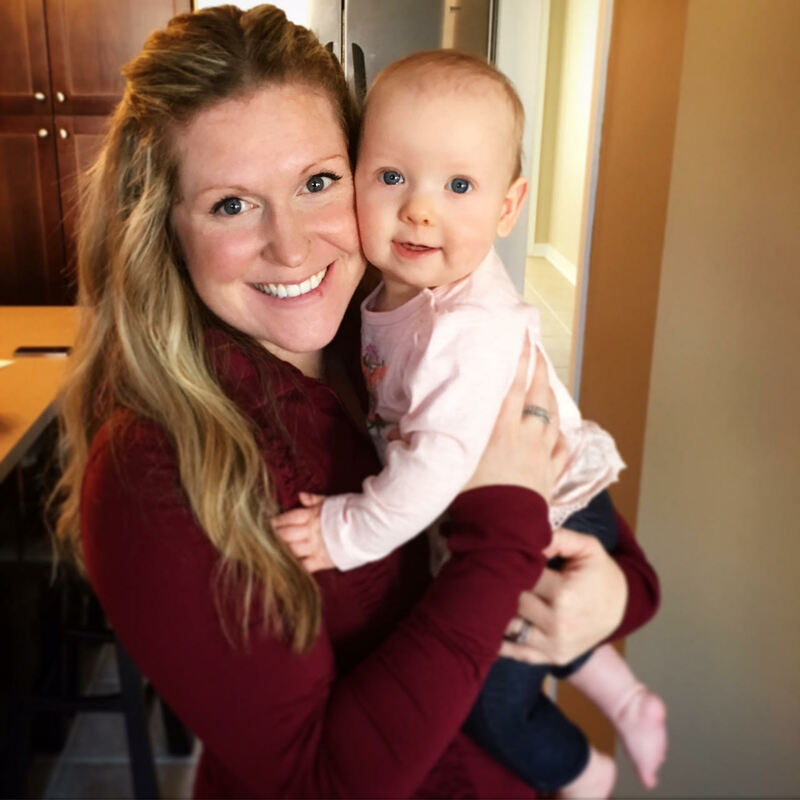 It wasn’t a natural feeling to be separated from your new baby, and it was because of this feeling – the fact that I had to share her with doctors, nurses, staff and even other patients – that made me feel instantly bonded and fiercely possessive of her. She was mine and I was determined to care for her and love her without any fear. I hadn’t signed up to be her nurse, but if that’s what it took to get her home with us, I was willing to do it all. 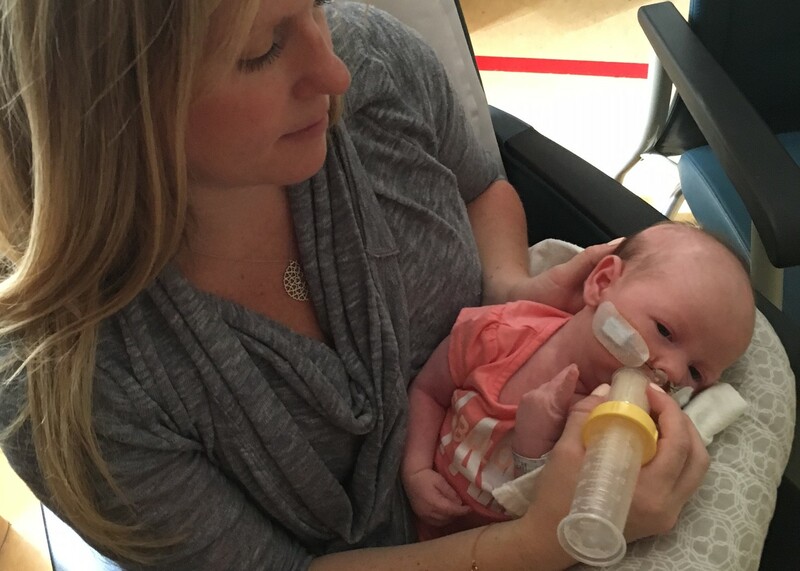 As days and weeks went on, I learned how to feed Evangeline with her bottle designed for cleft lip and palate babies, as well as inserting and managing her NG tube. I stood by her during ultrasounds, oximetry tests, blood draws, held her while she cried during an EKG and watched the nurses as they would suction her NP tube to help her breathe. I learned all about reflux and how it caused back arching and pain during feeds. Evangeline had to be medicated to help keep her comfortable, but even with medication, she still suffered at times. We had appointments with the genetic team, respiratory therapists and ENTs. Audiology, Dentistry, Occupational and Physio therapy. 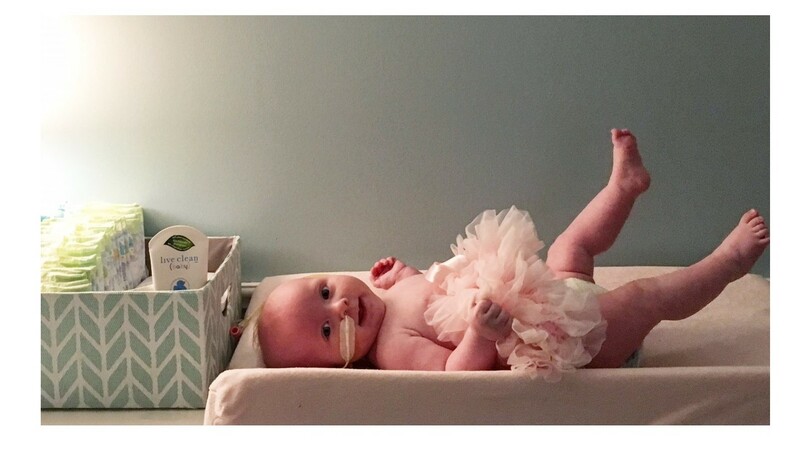 A G-tube replaced her NG tube at 6 months of age, a point where her overall health and well-being started to improve. Over the year, we have had access to so many resources to help Evangeline and we couldn’t be more grateful. I often think of a memory of holding Evangeline during one of her NG tube feeds. Being in a hospital room alone for days on end gives you a lot of time to reflect. I remember thinking about how lucky we were in such an unlucky situation. It made me sad to know that other mothers in countries far away from mine might not be so fortunate. Babies born with cleft palates are unable to form suction in their mouths resulting in the inability to feed traditionally. I wondered what would happen to those babies who didn’t have the special bottles, or access to feeding supplies, surgery and therapies. It didn’t seem fair that geography defined which baby would be able to thrive and which one would have to suffer. I knew at that moment if there was ever a way for me to give back, that I would absolutely try my best. On May 31, 2017, our sweet Evie will be turning one. Shortly after her birthday, she will be having her palate repaired which will help her eat and drink normally, learn to speak and make new sounds! We are so excited to watch her grow and so proud to be her parents. Happy 1st birthday to our sweet Evie. You amaze us each day with your strength and courage. Happy 1st Birthday Evie! You are such a strong girl and are going to do great things in life! Happy birthday baby girl! Leigh, your work family supports your family and this wonderful charity. Love you guys! Happy birthday Evie!! You are so courageous and strong, just like your mommy and daddy. Happy 1st Birthday beautiful Evie!! We love you so much and love watching you grow. You are such a sweet little girl!